Being a detective is a tough job. But being a paranormal investigator opens up a whole new (other)world of problems. This is the multidimensional challenge in the recently-released The Darkside Detective, a retro-styled point-and-click adventure from indie Irish studio Spooky Doorway. With six different occult cases to solve, Detective Francis McQueen and Officer Dooley will have their work cut out for them as they confront evil in many forms throughout Twin Lakes City, and do it all with their sense of humour intact. Intrigued by the playable demo available, I caught up with the game’s artist, Paul Conway, and writer, Dave McCabe, on Skype to discuss their humorous new supernatural mystery in greater detail. Ivo Teel: I really appreciate you both taking the time to talk to Adventure Gamers about The Darkside Detective. I can imagine it being hectic so close to the launch! Dave McCabe: Yeah, it’s a bit crazy. There is always that little secret bug that we weren't aware of, but we’re getting there. Lots of administration with all the different stories and a lot of testing involved. Ivo: It would be great for readers that haven’t heard of The Darkside Detective or have only seen it passing to know what the game is about and who Francis McQueen is. Can you give a short intro to the game and the story? 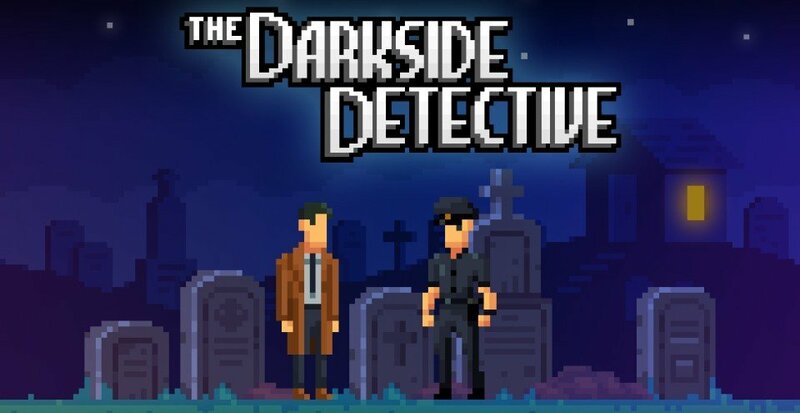 Dave: Okay, Darkside Detective is a point-and click-adventure game that takes place in the city of Twin Lakes. It’s sort of reminiscent of the games of the ‘90s; we use a lot of the same kind of thing. Instead of having a big long story, we’ve kind of taken the TV episodic approach: six different cases. Each works as a different type of case, different monster of the week if you will. It’s all about the strange things that are happening in the city. It’s sort of an average suburban town, but there’s all these strange things going on. The inhabitants seem to be oblivious to it, except for Francis McQueen and a handful of other people who you meet throughout the game. He is head of the Darkside Division; he is the Darkside Detective and that’s who you play as you go around trying to find out what strange things are happening and put an end to them. As you do so, you are accompanied by Officer Patrick Dooley, who is sort of your sidekick and friend and absolutely no help whatsoever. Ivo: I noticed that with Dooley when playing the original demo… it was published back in 2016? Paul Conway: Actually 2015. It was updated in 2016, but the original demo was February 2015. Ivo: If you look back to that demo, the game has come a long way since then. Can you talk about that journey? 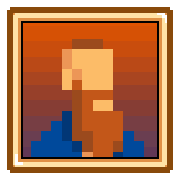 Paul: It started out with myself and Chris [Colston] working on it as a game jam project. It was a four-screen demo; it didn’t make a lot of sense. We were trying to nail an interesting art style and set the main scene of investigating paranormal things. But it was terrible. We popped out the demo online and we got all these positive reactions to it, so we kind of decided to maybe roll with it more. So we worked on a bigger demo and Dave came on board literally weeks after we sent out the original crappy demo. He came in and improved the story and the characters and the bigger demo went out on Game Jolt and started getting 10.000s of followers and plays so we decided we really wanted to try and do a full game. Tracey [McCabe] came on board then as our lead developer, to help push a lot of the tech; it’s evolved a lot. It’s a long process; we were trying to squeeze the game out in our spare time. That time actually helped build the game more; if we would have gotten it out in a few months it wouldn’t have been the game it is now, this formed, this rich. We went from this small independent game to this really deep, larger amount of characters. Want to chime in there, Dave? Dave: Yeah, definitely with the time we had to work… I mean you can condense that and say maybe there’s X number of months or maybe one big year of actual work. But the total time we had, not working on it full time, meant that… myself and Tracey, we got married and we started traveling a bunch – Europe, Southeast Asia, US and other places. We met a lot of people along the way. None of them specifically made it into the game, but meeting a really wide bunch of people with fun personalities gave me more raw material to inject into the game. Obviously seeing and checking out a wide range of places put different ideas of locations in our heads, and how we used them and so on. So definitely the world itself is a lot richer thanks to that time and has a lot more scope. Overall it definitely benefitted in a number of ways. Ivo: If you look back to the beginning, how did the original idea/concept really emerge for The Darkside Detective? Paul: It kind of came about because we always wanted to work on our own adventure game. At the time I started dabbling with pixel art again, and we were in a game jam in Galway [Ireland] and said we’d work on this small adventure game during the day. It was a mixture of me wanting to do a mystery game and Chris wanting to do something silly. Initially the story was more serious but the dialog made it more funny. That core idea came on the game jam day but it certainly grew more after that. But that core idea to follow a detective in a miniature crime case is where the bite-sized cases came from. It didn’t change, just evolved into longer cases to play, richer, more interesting. But the seed of small cases really came from that day. Ivo: What would you say was the key moment where it went beyond ‘this is a fun game we’re doing as a game jam’ to you thinking this could actually be a very promising bigger game. Paul: The big one was when we pushed out the improved demo and suddenly we started getting this media and player attention; there were a lot of people talking about it online. That was the real validation moment. We hadn’t done any promotion. We just put it online; we wanted people to play it. 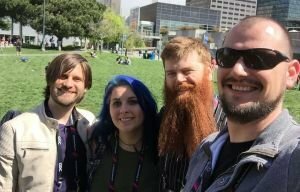 Websites like The Verge suddenly started writing articles on it. That was the point which lead us to thinking there was a commercial appeal. But for me personally, the moment that started making the game more fun and come to life was when Dooley became a character. He was just a guy you could bounce off in every scene. From day one, Dave made him this silly, daft person. He was basically a nice addition to the scene; you weren’t just talking to yourself. 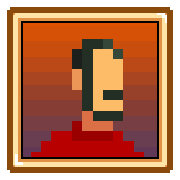 Dave: Yeah, in the original one from the game jam there was a cop in the attic. Then we started talking that we wanted a Blackadder Baldricky-type thing, someone to bounce off of. We analysed and talked about what worked and what didn’t. We wanted you to feel you’re a confident character and feeling good about it, not kind of a doofus character. We wanted someone that could see the world in a different way in parallel, without you feeling you are playing this idiot. So the pairing worked quite well.